Trippy rock from the three Hurel brothers of Turkey -- a fuzzed-up, freaked-out trio that comes off with some great psychedelic touches! 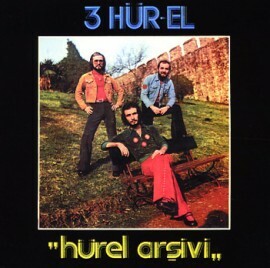 The sound here is a great blending of modes -- similar to some of the other Turkish rock from the time that merged electric guitar with folkloric inspirations -- but the overall Hurel groove is much more strongly progressive, and sometimes slightly funky at times -- due to a tight set of rhythms at the bottom. There's a heaviness here that almost hits Cream-like intensity for the power trio -- save for the fact that the lyrics instantly mark the work as being of non-Anglo origins, as do the eastern shadings in the use of guitar and some of the percussion.